Charles Weygant, The Sacketts of America, "6733. 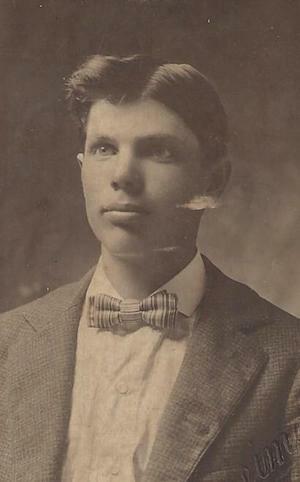 James Curtis Sackett, b. Mar. 10, 1879." "U.S. Social Security Applications and Claims Index, 1936–2007", database, Ancestry.com, "Sackett, James Curtis, b. Carrollton, IL, 10 Mar 1879, father Edward C Sackett, mother Mary E Bradley, listed Mar 1937." 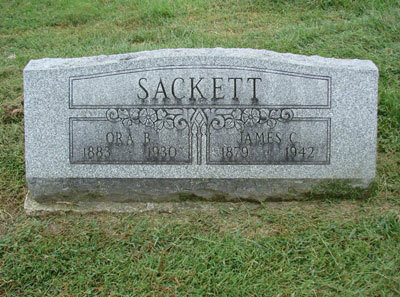 Thurmon King's database, citing "Carrollton Cemetery, Greene Co., IL, small stone with Sackett across the top and below: James C. 1879–1942; Ora B. 1883–1930." "Illinois, Select United Methodist Church Records, 1824–2009", digital image, Ancestry.com, "24 Sep 1901, Preacher's House, Starkey House, White Hall, IL, James Sackett, of Carrollton, IL, b. Greene Co; and Ora B Graham, of Carrollton." Sackett, Martha, dau, 12/12, b. IL, father b. IL, mother b. IL. Sackett, Charlotte, dau, 1/12, b. IL, father b. IL, mother b. IL. Sackett, Mary, wife, 39, m. at 38, b. MO, father b. MO, mother b. IL. Weber, Agnes, boarder, 23, m. at 21, b. MO, father b. MO, mother b. MO, sales lady, dept store. "US World War II draft registration cards 1942", digital image, Ancestry.com, "Serial no. 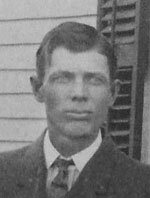 U3294, James C Sackett, 5641 Clemens Ave, St Louis, Missouri, age 63, b. Carrollton, IL, 10 Mar 1879, unemployed, contact Mrs Ethel Capaldo, 5641 Clemens Ave, race white, ht 5' 8", wt 140, eyes blue, hair blonde, complexion light, rupture scars both sides of abdomen. Reg St Louis City, MO, 27 Apr 1942."